TaxiForSure's Aprameya Radhakrishna's new venture, Vokal, is a peer-to-peer content generation platform that is a cross between Reddit and Quora. After having successfully built and sold India’s original low-cost taxi hailing platform TaxiForSure to rival Ola, Aprameya Radhakrishna is betting big on content in vernacular languages. He claims his latest venture Vokal can become the biggest internet company in India in the next five years. Founded along with Mayank Bidawatka, Vokal is a peer-to-peer content generation platform that Radhakrishna describes as a cross between Reddit and Quora. The service, available only in Hindi, has already signed up half a million active monthly users who mostly hail from Uttar Pradesh, Bihar and Rajasthan. 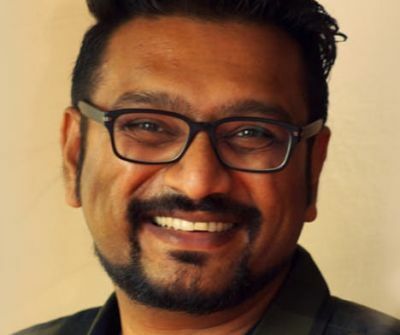 Growing at 30 per cent monthly, Vokal is planning to launch in six regional languages - Tamil, Telugu, Bengali, Marathi, Kannada and Malayalam - by the end of the year. For this, the company raised $5 million from Shunwei Capital last month, with participation from existing investors Blume Ventures, Accel India and 500 Startups. “All the start-up businesses built earlier were tapering off at 100 million people. We wanted to build something that will inspire the rest of the population to use the Internet better,” says Radhakrishna. TaxiForSure, which was co-founded by Radhakrishna and Raghunandan G (batchmates at National Institute of Technology, Surathkal), was acquired by home-grown ride-hailing major Ola in 2015 for around Rs 1,260 crore. Social networks such as Facebook, Twitter, Instagram are popular in India, but they have found it hard to move beyond the English-speaking population of the country. The non-English-speaking population themselves do not communicate, but only forwards content on WhatsApp, says the Vokal founder. Even Facebook is not used to express thoughts, but mostly consume information. According to a report by Internet and Mobile Association of India and Kantar IMRB, internet penetration in rural India witnessed a growth of 14 per cent from December 2016 to December 2017. India is estimated to have around 186 million internet users as on December 2017. With an estimated population of 918 million as per the 2011 census, there are more than 700 million users in rural India who do not have access to the Internet, the report says. Hence, the next opportunity lies in vernacular, said Radhakrishna who has invested in more than 20 start-ups so far. “With Vokal, we want to be as big as the Indian population first. In that journey, we would also want to explore other non-English speaking regions of the world. That gives us the potential to become as big as Facebook,” said Radhakrishna. Even venture capital funds are sharpening their focus towards vernacular platforms. Of the $250 million that philanthropic investment firm Omidyar Network has invested in India so far, it has already funded several multilingual portals such as Healofy, DailyHunt, Doubtnut, Pratilipi and Indus Os.